After enjoying your morning at one of our Vatican private tours and soaking up all there is to know about art history, what better way to relax than indulge in some luxurious Italian shopping? Rome is home to many of the top designers like Fendi and Valentino. 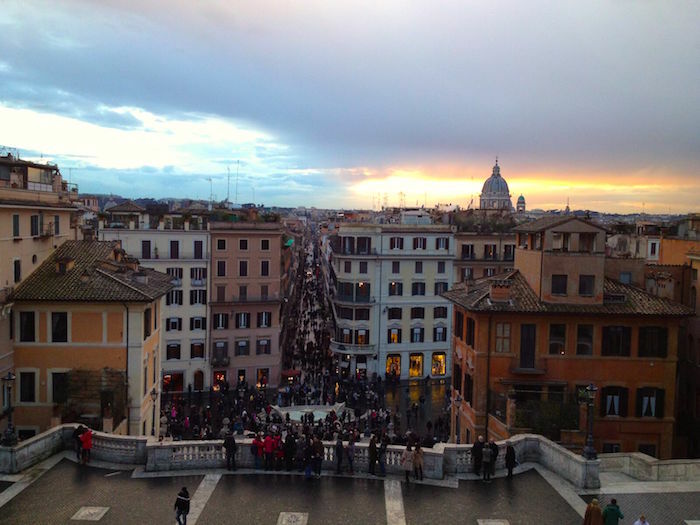 If you’re looking to visit the boutiques of famous luxury brands, head to Piazza di Spagna. Here, you’ll be able to visit designer stores like Versace and Dior. From there, you can continue walking through Via dei Condotti, one of the best streets for high-end shopping in Italy. You’ll be able to shop some of the most luxurious brands like Prada and Dolce & Gabbana. Parallel to Via dei Condotti, you’ll find Via Borgogna. This street is also a must for high-end shopping in Rome, with designers like Gucci and Stella McCartney. If you’re in Venice looking for chic designer stores and boutiques, then you must go to Salizada San Moisè. This top-notch shopping street in Venice near Piazza San Marco is home to designers like Prada and Miu Miu. Just a few steps away is Calle Vallaresso, where you’ll also find top designers like Balenciaga and YSL. This area is perfect to discover before or after our Venice Discovery Private Tour. 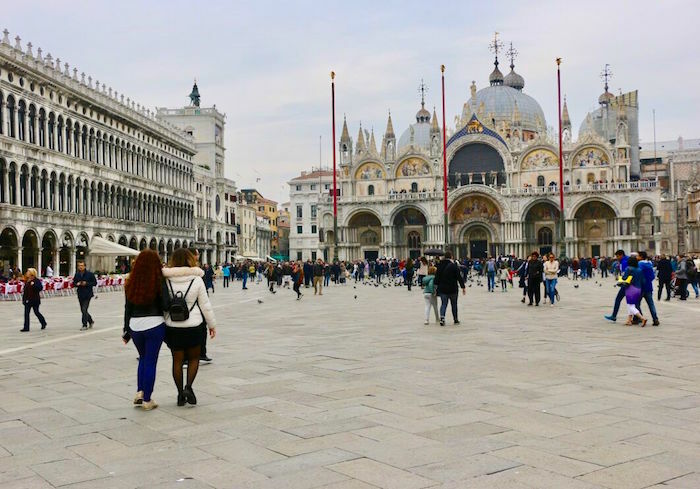 The tour begins right in Piazza San Marco, conveniently located near Venice’s upscale shopping district. 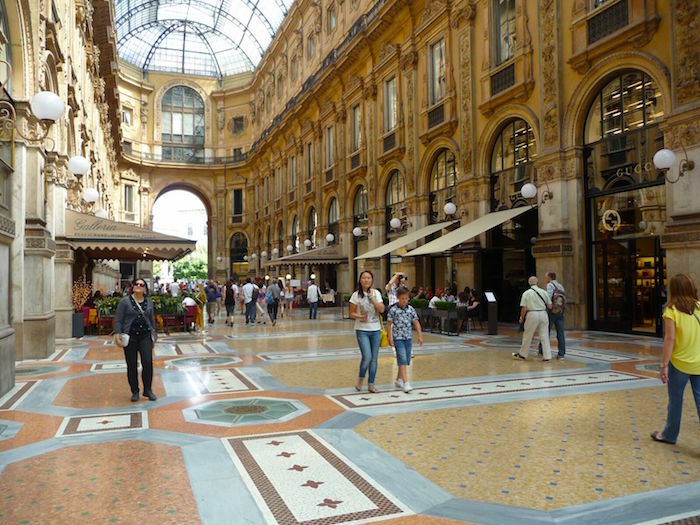 Considered Italy’s fashion capital, Milan is a city devoted to style and luxury. One of the top streets for luxury shopping in Italy is Via Monte Napoleone. Walk along this street to find designer brands like Emilio Pucci, Salvatore Ferragamo, and Armani. After you finish shopping in Via Monte Napoleone, you can head to Corso Venezia and continue treating yourself to designers like Vivienne Westwood. Follow this street and you’ll end up at Indro Montanelli Park, where you’ll find the Natural History Museum and the Planetario. Into vintage clothing? Then Cavalli e Nastri is a must. It is one of the most known vintage boutiques in Milan and offers a unique selection of clothing for women, men and you can even find selected furniture. Similar to Milan, Florence is also known for its incredible shopping scene. After discovering Florence on our Private walking tour, head to Via de’ Tornabuoni, one of the best shopping streets in Florence. This street is filled with top designer stores like Fendi and Dior. If you’re a fashion enthusiast, then you can also visit the Salvatore Ferragamo Museum located on this street. Some of Florence’s most premiere hotels are also in this area. Travelers often visit Florence not only for the designers, but also for the authentic leather. People used to flock to Florence from the United States just to purchase quality leather goods. If you’re looking for top of the line leather products, La Scuola del Cuoio is a must. You can actually access the “Leather School” from Basilica di Santa Croce. All of the products are manufactured by trained Florentine leather engineers, so you know you’re buying the real deal. Shopping in the Amalfi Coast can be what La Dolce Vita is all about. If you’re in Positano then Le Sirenuse at Via Cristoforo Colombo is where you need to go. This luxurious hotel with sea view has a luxury boutique which holds hand-made garments and swimsuits perfect for the occasion. If you’re in Capri, do not miss one of its most chic streets, Via Camerelle. This street has everything you’ve ever wished for designer-wise. Walk along it to find the best clothing from designers like Dior to Moschino. The fun doesn’t stop there, just turn into Via Vittorio Emanuele where you’ll find even more exclusive boutiques.